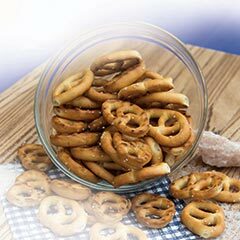 Our lightly salted Pretzel Twists are just the snack you've been waiting for! Enjoy them as a snack between meals or with vegetables and salad to make a quick lunch. Dip them in mustard for some extra kick!